With a new governor and one key House race yet to be decided in the Alaska Supreme Court, the next session in state government remains a bit unpredictable. 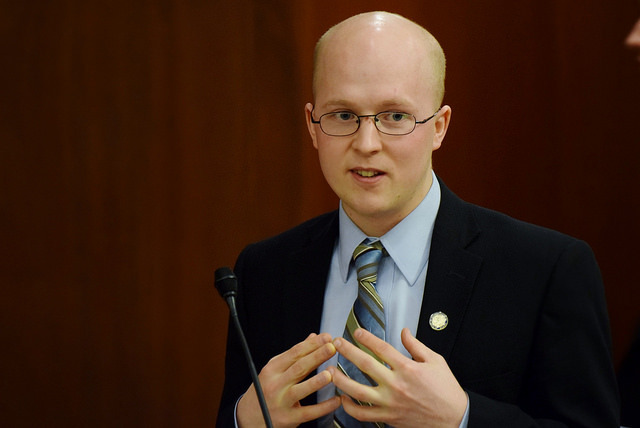 District 35 Representative Jonathan Kreiss Tomkins spoke with KCAW’s Katherine Rose about his mindset as he returns to the capitol later this month for his fourth term in office. With the Fairbanks 1-vote lead election still in litigation, with a hearing scheduled for Jan 4., and with Representative Gary Knopp leaving the Republican caucus in December to call for a bipartisan caucus, there’s still no clear majority organization in the House. “We don’t really have any notion of what the House of Representatives is going to look like,” he said. And as for the budget, even more uncertainty. Kreiss- Tomkins says he hasn’t spent too much time on the preliminary budget Governor Dunleavy released in December, because it’s likely not close to what his real budget will be. But he’s sure of one thing. He says Governor Dunleavy’s budget will be marked with austerity. He knows from experience, seeing what then-Senator Mike Dunleavy was focused on as chair of the Senate State Affairs Committee — a responsibility which Kreiss-Tomkins later held in the House of Representatives. He says the budget that came out of that committee could give a better picture of what Dunleavy’s budget may ultimately look like. Everything except the PFD, which Kreiss-Tomkins doesn’t think is realistic. But he’s optimistic about some things, even if he’s uncertain about others. Legislative session begins January 15. Governor-elect Dunleavy is expected to release a new draft of the budget with spending cuts. It will then go to the legislature, and once they’ve passed it, Dunleavy will have line-item veto power.